When you have no time, are starving and don't know what to eat during your walk. Reservin Armenia decided to find out what to eat in Yerevan streets. This time we found Tasty Truck. Tasty Truck is a worldwide thing and it was originated in fast food motherland US. 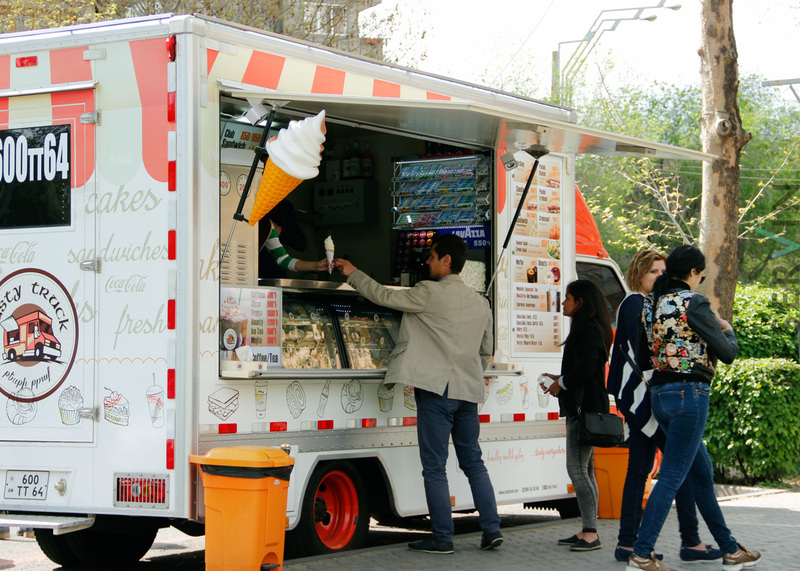 It is a truck that can be moved, where you can buy sandwiches, salads, juice, ice cream, croissant and donuts. 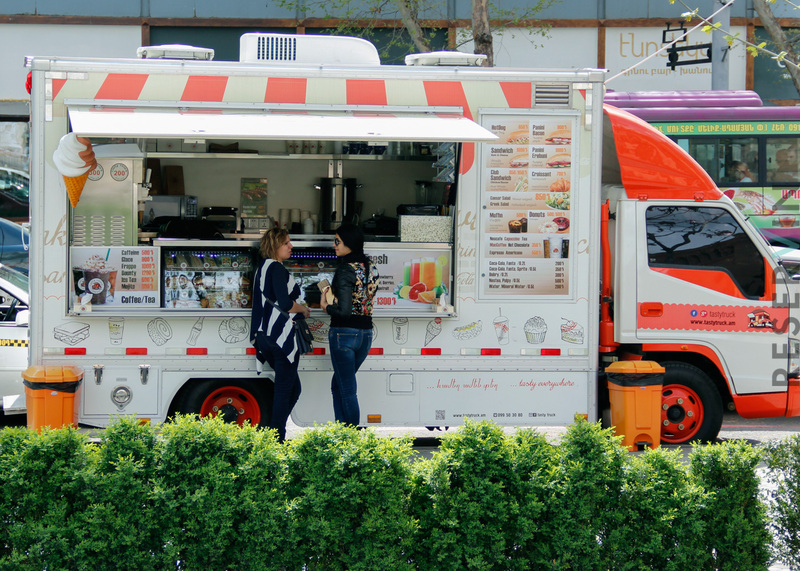 It's been two month since Tasty Truck is located on Sayat Nova 15. Before that it was in Tsaghkadzor. Arman Davtyan who worked here, says that people usually buy food in the evenings, thet buy ice cream more, but of course they also like sandwiches and sweets. Ice cream was indeed popular here, we saw it for ourselves. 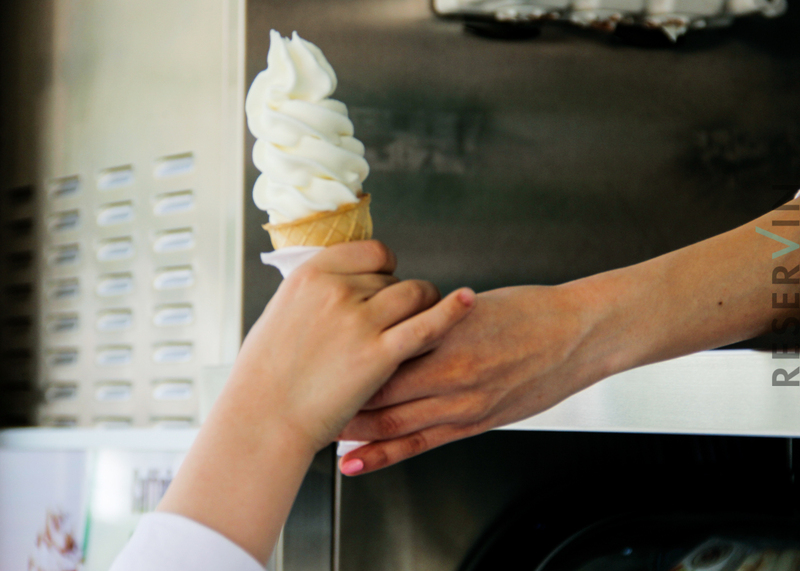 One of the advantages of the Tasty Truck is that prices are average and you have many options. Another tasty dish is chicken sandwich. Here is a very good customer service, which boosts your appetite. It is very clean, packages are steril, so it is very comfortable to eat. A special dish here is a German sausage made hot dog. So if you are at Sayat Nova, don't hesitate and buy something from Tasty Truck.